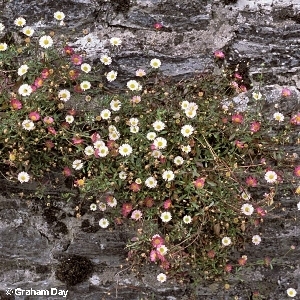 A garden plant now established on stone walls in a few sites eg the boundary wall of the Mountstewart estate in the Ards Peninsula. Origin: Mexico. 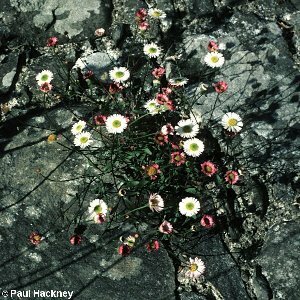 All names: Erigeron karvinskianus DC. ; Erigeron mucronatus DC. ; Erigeron karvinskianus var. mucronatus (DC.) Aschers.